Unhappy moment today as a loud POP! was heard from the wooden chest where the bottles live, and pink wine started to pour over the floor. One of the bottles of Caelan had spat out its cork and emptied out. Damn! 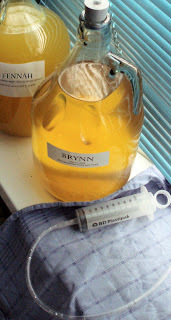 Besides it being a shame to lose 0.75l of what promised to become very nice mead, I am now also worried about the rest of the batch. I transferred the other bottles to the fridge to cool down until I know what to do, but that isn't going to work long term. 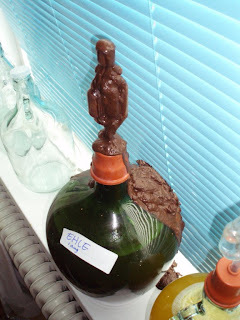 The batch was completely stable for 2 or 3 weeks, then has Kalium Sorbate added, left for another week, showed no signs of life in any way, and was then bottled. Drake got the same treatment. What do I do? Open them all up? Add more Kalium Sorbate? The cork that got spat was pretty crappy, I wonder if that may have contributed. Anyway, halp!